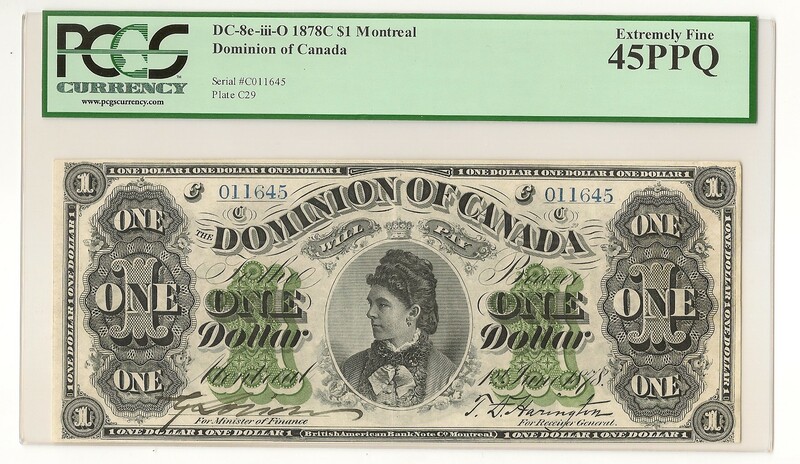 Early date, 1878-C, Dominion of Canada $1.00 Montreal. Certified EF-45 PPQ. Serial # C 011645, Plate C29. 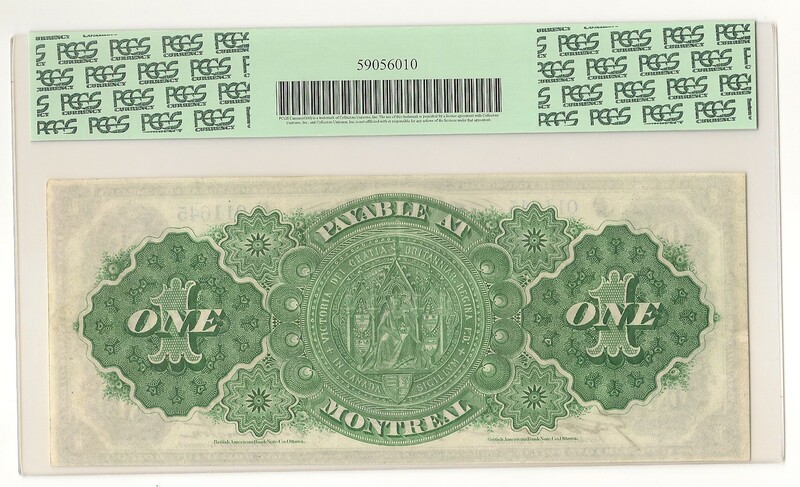 Nice solid note, fresh color. 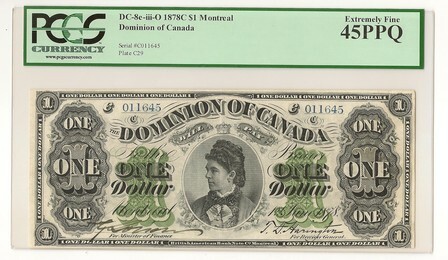 (DC-8a) Face Design: Countess of Dufferin, Color: black with green tint. 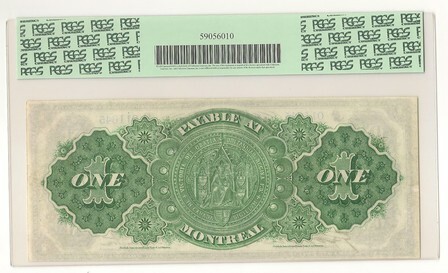 Back Design: Great Seal of Canada, Color: green tax is applicable if purchased or shipped within Canada.